Transferred to the University Archives of the University of Pennsylvania in 1997 and 2002. The 1997 accession of the Ladies Aid Society records came mixed with the records of the Presbyterian Medical Center. The latter group is to be processed as a separate collection under the code UPC 500. The collection has been organized into four series: Corporate Governance Records, 1872-2002; General Administrative Files, 1883-2002; Financial files, 1872-2001; and Photographs and Artifacts, 1922-1992. The records are basically arranged in an alphabetical order within each series (except for the series of “Photographs and Artifacts”). The Society became gradually a major source of funding for various projects of the Presbyterian Hospital. In 1921, the Society was involved with a fund-raising drive among the local churches to collect $100,000.00 for a new Dispensary-Laboratory Building. In the 1960s, the Society pledged $40,000 to the building and redevelopment fund of the Hospital and made another gift of $50,000 for the purchase of equipment in the Food Service Center. In 1970, it pledged and raised $75,000.00 for the Pediatric Medical Services. From 1985 to 1994, the Ladies Aid Society raised over three quarters of a million dollars for the Presbyterian Medical Center. During its over 125 years of existence, the Society has received numerous legacies and bequests, most of which have been invested. While the interest from these investments form the bulk of the its revenues, the Society has also embarked on a number of money-raising enterprises to augment their income. It sponsors various sales, bazaars, concerts, recitals and fashion shows. Outstanding in its retail ventures have been the Cubby Hole Gift Shop which started in 1932 and is still operating; the Rittenhouse Flower Market, to which the Ladies Aid Society was first invited in 1927 and from which the Society raised thousands of dollars for the sick children at the Presbyterian Hospital, including setting up a Child Health Clinic in 1928. In addition, a Co-operative Shop which was formed in 1923 and sold in 1975; and a Thrift Shop at the hospital which closed in 1987. Apart from fund-raising operations, the Society has been active in various kinds of training and social services for the Presbyterian Hospital. Shortly after its founding, the Society organized Visiting and Benevolent Committees to visit patients at the hospital. The first official “visitor” for the committee was Caroline Farnum, who had been trained as a nurse. By 1889, she had combined her training skills and her visiting activities into a new system which provided opportunities for potential nurses to do off-site visiting for practice. That year the hospital board of trustees named Farnum its “Directress of Nurses,” and thus, was born the Presbyterian School of Nursing. The Ladies Aid Society was generous from the outset to the new school, giving gifts through its Benevolent Committee to the patients being visited, and even providing its students with their first uniforms. In addition to visiting the sick and sewing sheets, pillow cases, patient clothing and operating room linens, early members also performed useful tasks patients could not yet deal with physically, helped find them employment, made temporary monetary loans and even helped send some convalescents to the sea-shore to speed their recovery, until the Cathcart Nursing Home was opened in Devon in 1892. For all of its fund-raising and service activities, the Society depended heavily on the good-will and reliability of hundreds of volunteers from its own membership. In 1957, it oversaw the formation of the Medical Auxiliary, which was created primarily as a volunteer fund-raising group for the hospital. The Auxiliary officially separated itself from the Society by 1959, but the two groups still co-operate in a number of different activities. 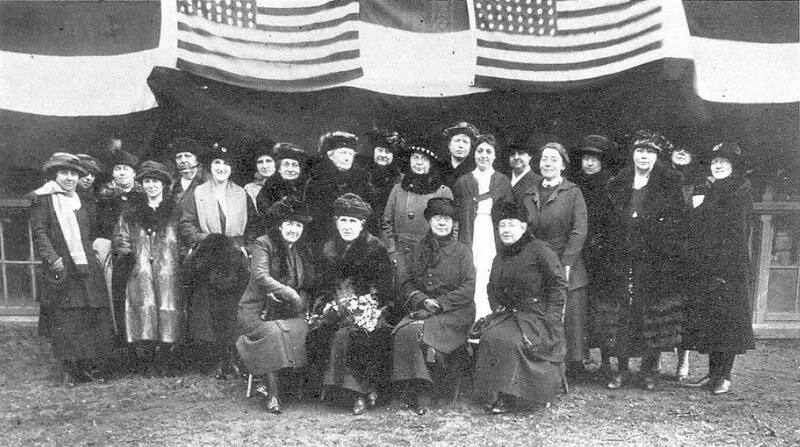 Despite the modern downward trend in membership for most volunteer organizations, the current membership of the Ladies Aid Society has stayed at about 200. Its operations, however, have increasingly concentrated on raising funds for the hospital in recent decades. The Collection documents the history and development of the Ladies Aid Society of the Presbyterian Medical Center of Philadelphia since its founding in 1872. The Corporate Governance Records series includes all corporate documents as well as the Annual Report of the Society from 1872 to the present and minutes of its Executive Committee, Board of Managers and annual and quarterly meetings. The General Administrative Files comprise administrative correspondence and files of such major subjects as book donations, directory and mailing lists, handbooks, history material, and legacies and wills. The Financial files consist of audit report, annual financial statement, Treasurer report, documentation of gifts received and made, records of its investment and banking transactions, income and expense ledgers, tax exempt status, and its business related to the Rittenhouse Square Flower Market and the Cubby Hole Gift Shop. The Photograph and Artifact Series include a couple of photograph images of its activities and a ceramic Florence Nightingale lamp. Presbyterian Hospital (Philadelphia, Pa.). Ladies Aid Society. Presbyterian Hospital School of Nursing (Philadelphia, Pa.). Presbyterian Medical Center of Philadelphia. Ladies Aid Society. Presbyterian Medical Center of Philadelphia. Presbyterian-University of Pennsylvania Medical Center. University of Pennsylvania Health System. Presbyterian Medical Center. Ladies Aid Society. The agency history of the Ladies Aid Society of the Presbyterian Medical Center of Philadelphia is partially based on the Historical Notes prepared by Sandy VanDoren, former Archivist of the Presbyterian Medical Center. Presbyterian Medical Center of Philadelphia, Ladies Aid Fund, Declaration of Trust, draft, n.d.